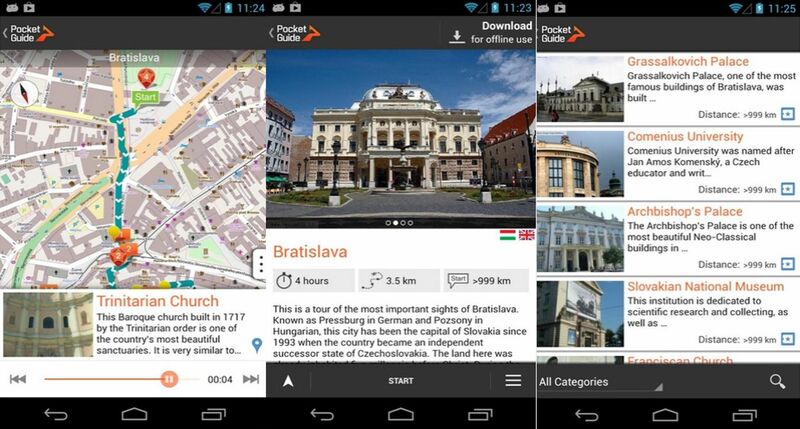 Don’t leave your smartphone behind when planning your trip to Bratislava – it might come in handy! 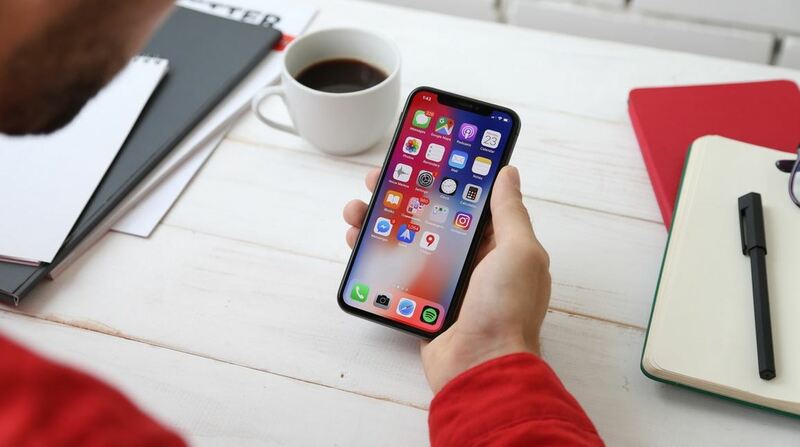 We have made some research on mobile apps that will help you make the most of your time while you’re visiting out city, providing offline maps and advice on taxi services, tips for sightseeing, recommendations for local food as well as popular places. See what’s happening around you and drag yourself into the life of the local community with this mobile app! Visit concerts, cultural exhibitions, festivals, flea markets, sport events or parties. 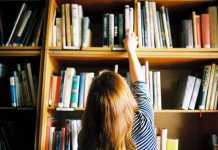 Have all the information in one place without the need to browse through long articles and various websites. 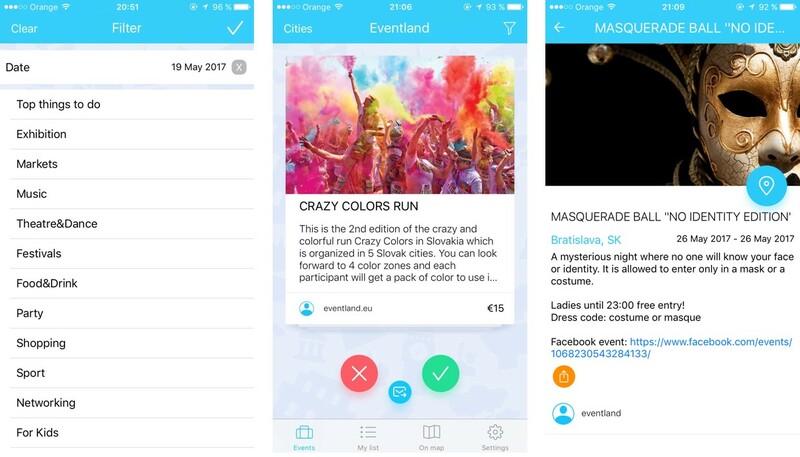 In this app, all the local events are translated to English for you and you can just swipe from left to right or vice versa to see what’s on in the upcoming weeks. Use the date or category filter to find what interests you the most! It can get tough to call a taxi in the middle of the night in Bratislava, especially on Friday and Saturday nights. If you don’t want to wait long and don’t want to stop the first taxi driver you see (as these charge more), we recommend to download the HOPIN taxi app – the first Slovak application for taxi ordering. Note: The language is adjusted immediately when first starting the application – according to the language of your phone’s operating system. We used to have the UBER mobile app, too, however Slovak court asked Uber to suspend its operations in Slovakia as of 27 March 2018. Another popular way to grab a taxi is to use Taxify. 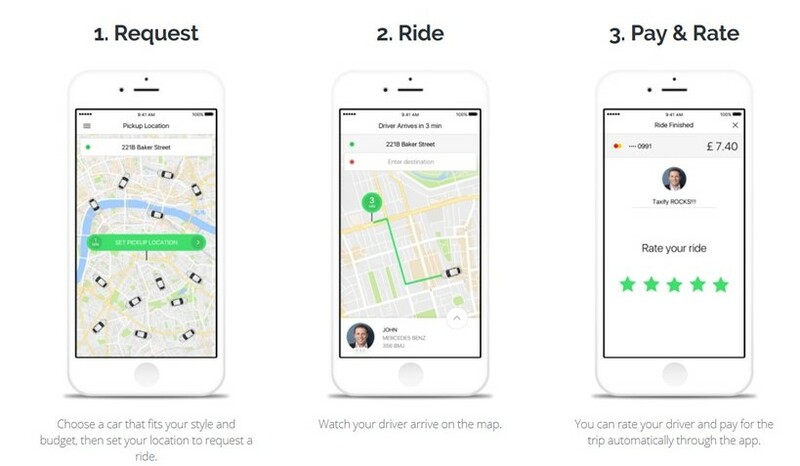 This Estonian company is a market-leading platform connecting riders to private drivers or licensed taxis. The advantage of using Taxify is that you don’t need to have cash on you – upon registration you will be asked to fill in your debit/credit card details and the card gets charged automatically once your ride is finished. On the other hand, you still have an option to pay in cash if you prefer to do so. 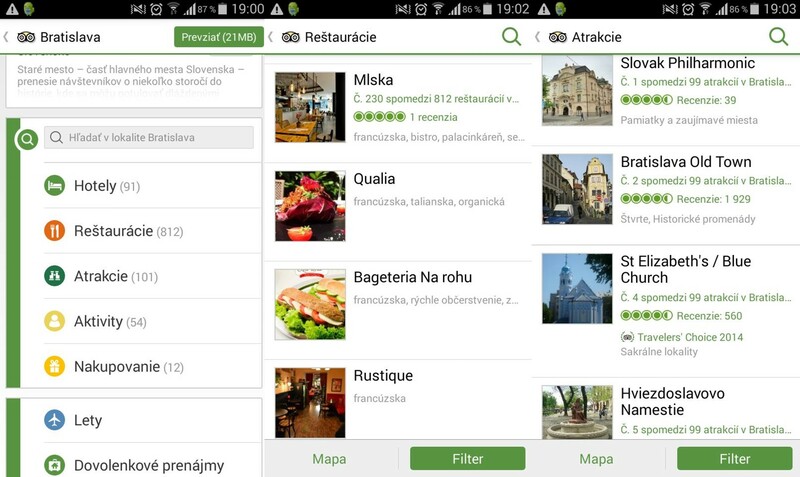 Note: The application is currently available exclusively in Samsung Apps for Android and Bada platforms for Bratislava and Košice. This app is available in multiple languages. The installed language will be set depending on the language of your smartphone’s operating system. Spotted by locals is an app which is available for more than 66 cities worldwide and offers authentic tips by locals. There is always a group of people living in the city assigned to write about their favorite places. The current Bratislava version contains tips on almost 90 spots – cafes, restaurants, souvenir shops, leisure time activities and more. Don’t expect tips on sightseeing though, there are other apps for those. We must say we were positively surprised by this app. You can have it for a one-time fee of 3,59 €. Good feature is that it is 100% offline so you won’t be charged any roaming fees once you decide to use it. 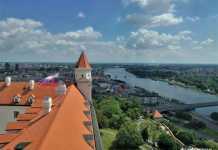 PocketGuide is an audio city guide application which gives you tours by voice, revealing the best stories, insider hangouts and must-see sights in close to 100 major cities and tourist destinations, including Bratislava as well. You can choose from different themed tours, or just wander around the city and let PocketGuide inform you when an interesting site is nearby. During your tour you can take photos and add comments; from this PocketGuide automatically creates a 3D video which you can easily share with your friends. 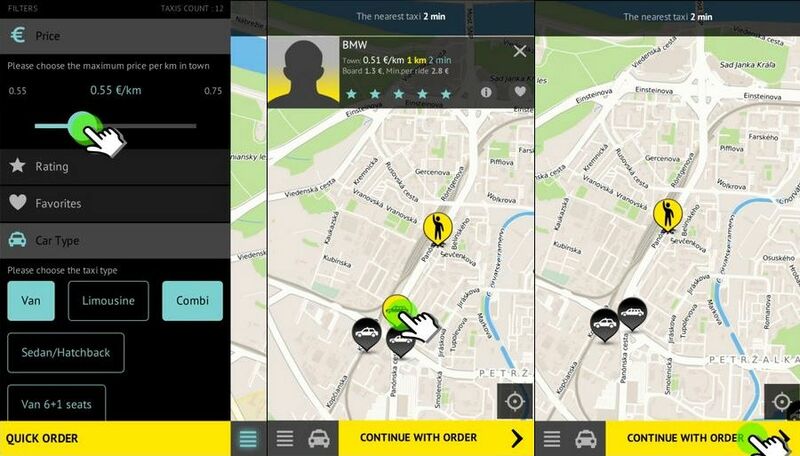 You can use the app online for free or download it and use it offline (for small fees: 2,99 – 5,99 €). 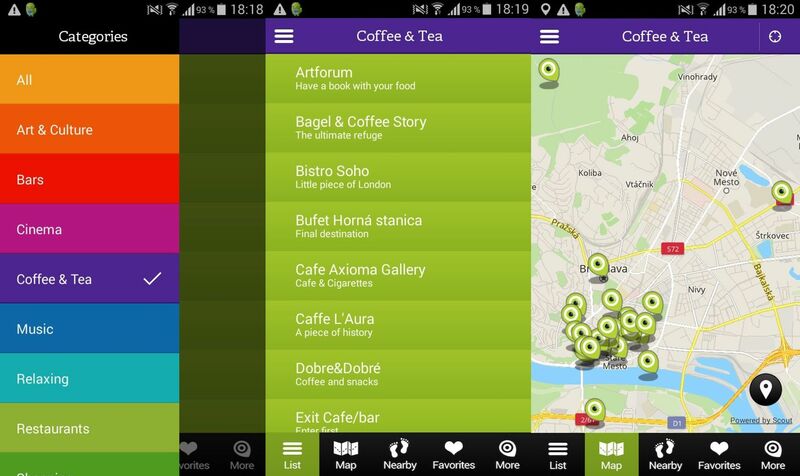 The Free Hello Bratislava app – made by a Bratislava’s native – allows you to have your offline city guide always at hand. One day 100% offline trip guide will lead you every step of the way with no advanced internet search and will let you to explore seven out of the 10 Top sights in one day. For you to learn something new and interesting there is always a brief description of each monument along with some helpful website links to find out more. If you stay in the city for more than one day, Hello Bratislava presents you with numerous options to choose from based on your preferences. Transportation, Food & Drinks tips are included as well. 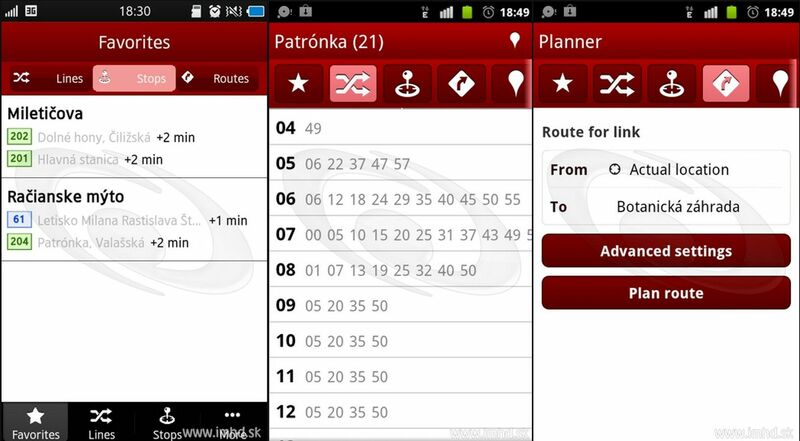 With Hello Bratislava app you will be set for your trip in Bratislava in no time! I was very pleased to find this web-site. I wanted to thanks for your time for this terrific read!! I surely enjoying every little bit of it and I have you bookmarked to take a look at new stuff you weblog post.